A stained glass window of Æthelberht in All Souls College Chapel, Oxford. A question I’ve often been asked is ‘What was the first English law?’ and it’s an interesting one but begs several other questions before it can be answered. For example, the difficulties of shedding light on what came first, what can be considered ‘English’ and even what can be considered law. In answer to these questions, we look to the early historical records of the 7 principal kingdoms of the land (prominent among them Kent, Wessex, Mercia and Northumbria) that would not be unified into England until the early 10th Century. We also look to the first written codification of local customs. The druids would have long been enforcing pagan customs in the Dark Ages but there was no need, or even capacity, to set these in writing. The Romans had written laws but during their occupation of Britannia these were mainly enforced upon Roman citizens, whilst the native Celts were allowed to continue their customs. 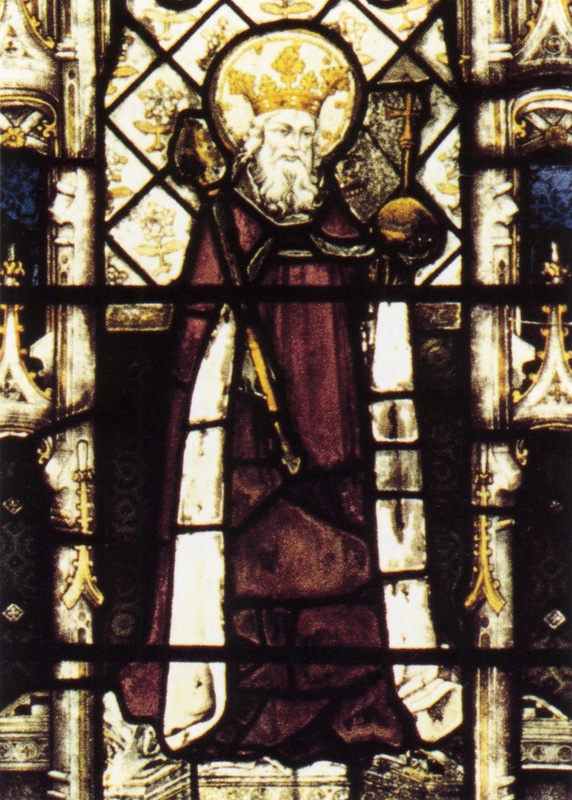 Æthelberht, King of Kent, in around 600 AD was the first to attempt a written code of local customs. It has been suggested that Æthelberht desired to write a code of law because he had been impressed by Christianity (and thus the Roman system of law) brought to him by the missionaries of Rome. Christianity had only been made legal, and the official religion, across the Roman Empire in 313 AD and all English Kings had been pagan until Æthelberht’s conversion. This very early code became the grounding for Kentish law. Subsequent Kings of the 7th Century such as Hlothar, Eadric and Wihtred followed this example and added approximately 50 new dooms to the list of 90.